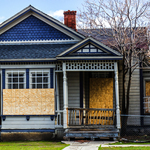 Feinstein, Brian D., "State Foreclosure Law: A Neglected Element of the Housing Finance Debate" (2018). Penn Wharton Public Policy Initiative. 60.